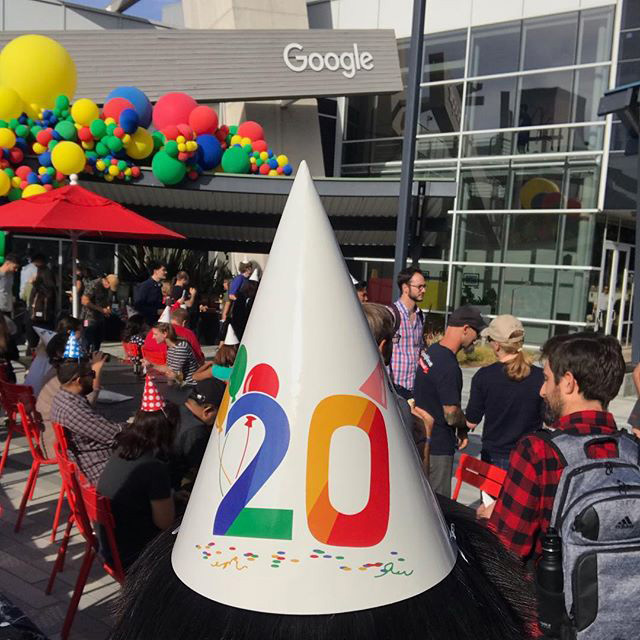 Yesterday was Google's 20th birthday and at many of the Google offices the Googlers celebrated. Here are some photos from the GooglePlex with some of the cake, cookies, ice cream, party hats, and events that took place at Google's main headquarters. The one above is in the main Google outdoor area, I found it on Instagram. I didn’t turn 20, Google did. Sharing my anniversary with Google, brought cupcakes and balloons to my birthday.